These Canadian Army vehicle pennants were acquired in 1994 and identified at that time by the Director of Military Traditions and Heritage at National Defence Headquarters. 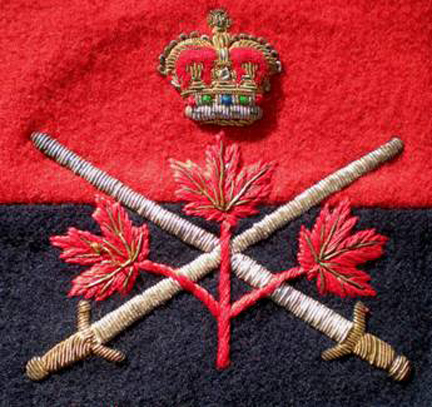 The triangular pennant was used by the rank and appointment of brigadier on the General Staff, typically employed at the Canadian Defence Liaison Staff in either Washington DC or London UK prior to unification of the Canadian Forces in 1968. 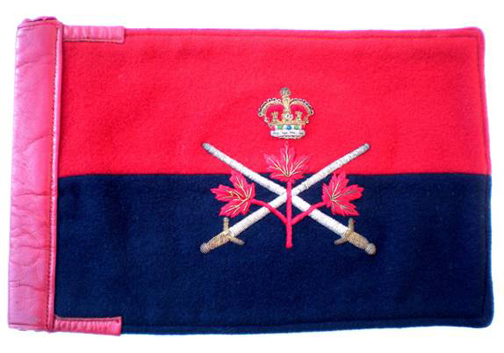 The rectangular pennant indicates the rank of lieutenant-general or above, at that time the Chief of the General Staff. Both are made of very heavy fabric, double-sided and embroidered on both sides. Presumably they were installed on the vehicle fender in a plastic case. 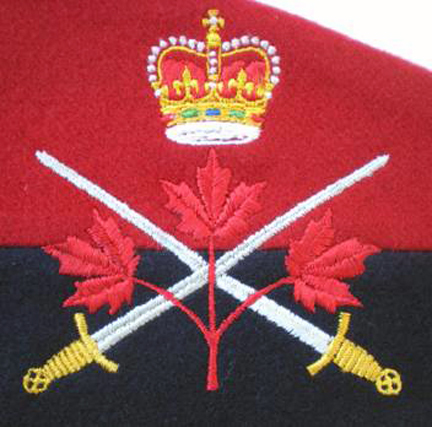 The general’s pennant is embroidered in gold and silver wire and silk. Metric measure not being regulated at the time of their use, it is 11 x 7 inches (53 x 18 cm). The heading or header at the hoist end is bound with red leather. 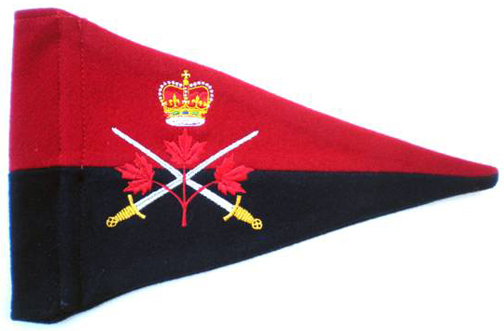 The brigadier’s pennant is embroidered in coloured silk and measures10 x 6-1/4 inches (25 x 16 cm).